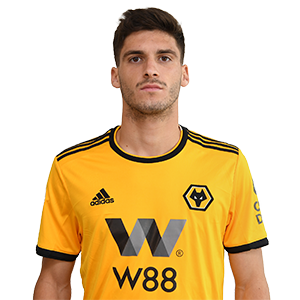 The promise Ruben Vinagre showed during 2017/18 was enough to earn the youngster a permanent move to Molineux. Vinagre spent last season on loan from AS Monaco and made 13 appearances in all competitions at left-wing-back. A winner of the European Championships with Portugal’s Under-17 side, Vinagre has played as high as Under-19 level for his country. The loanee made his English football debut in the EFL Cup win over Yeovil Town and netted his first goal the following month at Burton Albion. His first taste of Premier League football came on the opening day of the 2018/19 campaign, when he came off the bench against Everton.